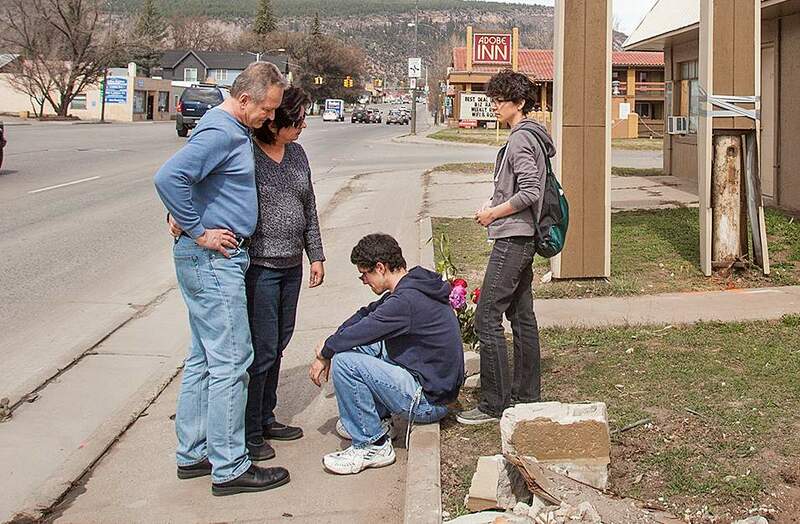 The family of Allen Duke visits the site where Allen was struck and killed Saturday by an SUV. From left, Allen’s father, Brian Duke; mother, Emi Duke; brother, Evan Duke; and sister Bri Duke. Allen Duke enjoyed drinking sour beers at El Moro while he lived in Durango and attended Fort Lewis College. 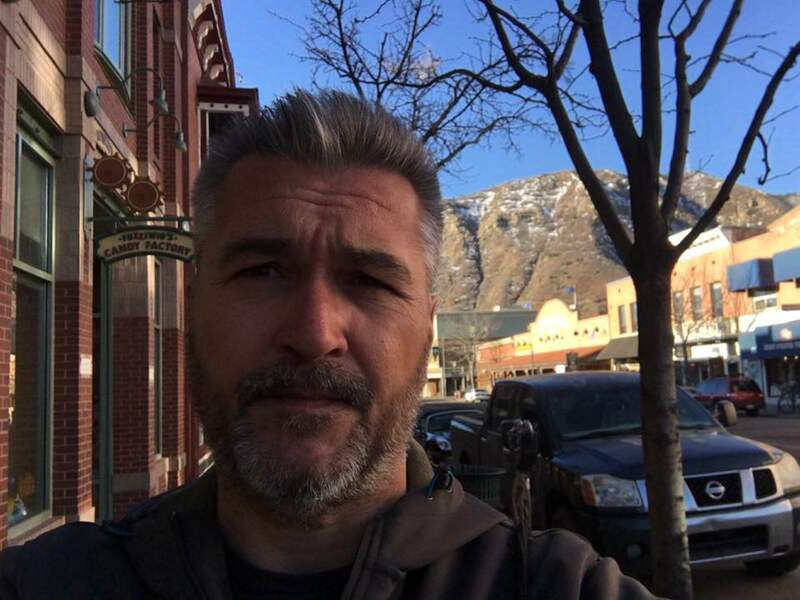 Marco Ricchi was visiting Durango from his home in Latina, Italy, when he was struck by an SUV and killed Saturday as he jogged along north Main Avenue. Allen Duke was probably listening to music through headphones while walking Saturday to the Adobe Inn, where he worked on north Main Avenue in Durango. He probably stopped to chat with Marco Ricchi, an Italian tourist whom he checked into the motel a day earlier. He probably never saw the white Chevrolet Suburban that jumped a curb and killed him and Ricchi, according to Duke’s family, which spent Sunday and Monday visiting the crash scene, talking to police, meeting with college officials and viewing Duke’s body at Hood Mortuary. Allen Duke, who didn’t have a car, walked to school or work nearly every day, usually while listening to tunes through headphones, they said. He wasn’t the type of person to ignore someone he knew, even if it was in passing, they said. He was deeply curious about people from around the world – a result of visiting Taiwan and Canada. “He just loved the idea of seeing the world,” his father said. 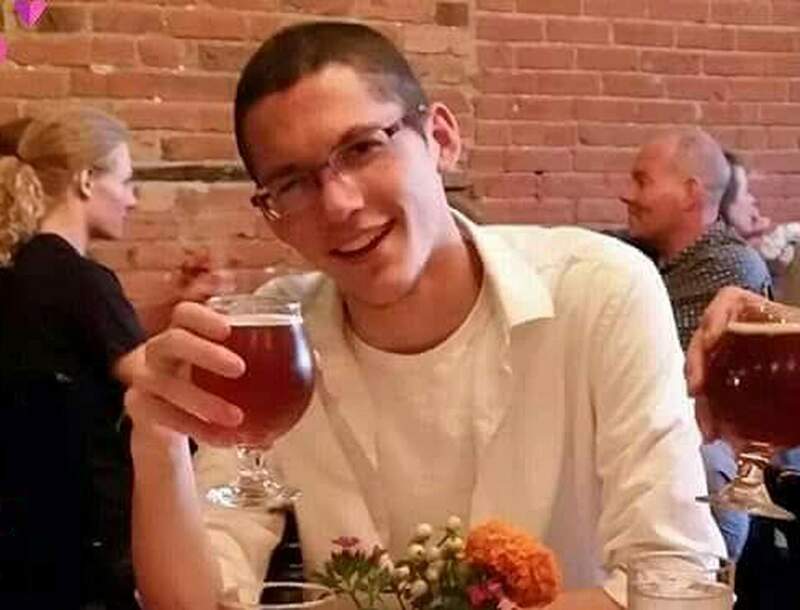 Allen Duke, 23, and Ricchi, 46, died Saturday after being struck by an SUV driven by Bobby Lehmann, 76, who lives in Durango and Texas. Duke’s family was told Lehmann may have blacked out while driving. The Durango Police Department declined to release details of the crash or a possible cause, saying it remains under investigation. No citations had been issued as of Monday afternoon. Durango police plan to have the SUV’s computer forensically analyzed to obtain more information about the vehicle’s speed, braking and other diagnostics. The SUV was heading north about 4 p.m. Saturday when it jumped the right curb, struck the pedestrians and came to rest on its wheels, wedged between a sign for the Royal Motel and the motel itself at 2068 Main Ave.
Allen Duke celebrated his 23 birthday two days earlier – on Thursday – and was five weeks from graduating with a degree in accounting from Fort Lewis College. The college said it’s looking into the possibility of awarding him a posthumous degree, which Allen Duke’s twin would like to accept during the college’s April 29 graduation ceremony. Allen Duke came to Durango to attend FLC from Parker, where his family lived at the time. He switched his major from international business to accounting and wanted to move to Canada upon graduation to become a bank examiner. He loved drinking sour beers at El Moro, and hated spiders, Brian Duke said. His father used to bringing him a bag of Trolli Sour Brite Eggs, his favorite candy, every time he came to visit, because Allen couldn’t find them in Durango. He left a bag Sunday at a makeshift memorial on north Main Avenue. Allen Duke also is survived by his mother, Emi Duke, and older sister, Bri Duke. No services have been scheduled. Ricchi was visiting from Latina, Italy. He and a friend appeared to be on a tour of the Southwest, with stops at the Grand Canyon, Valley of the Gods and Monument Valley, according to Facebook posts. He and a friend were training to run a marathon. In his last post, Ricchi uploaded photos of Durango, which show he had taken the Durango & Silverton Narrow Gauge Railroad. The Adobe Inn confirmed Allen Duke would have checked Ricchi into the motel on Friday afternoon.